Photo of Keith Waldrop (right) © 2009 Charles Bernstein/PennSound. “It’s / true enough that we’ve fallen between / two generations — one drunk, the other / stoned,” Keith Waldrop writes in an early poem addressed to his wife, poet and translator Rosmarie Waldrop. It’s easy to imagine that Waldrop, born in 1932, is thinking of the “liquor and analysis” (43) that marked the lives of some of his lionized predecessors, such as Berryman and Lowell, and of the intoxicating, telling wit that can mark their work. In his poetry from the 1960s and ’70s in Selected Poems, one feels that weighty shadow: some phrases wouldn’t seem out of place in Lowell’s Life Studies, as in the throaty sound-play and mock-heroic pose of Waldrop’s “I may, of course, croak tomorrow, stumbling / from the larder” (19). And yet, even in his earliest poems, Waldrop evades that weight through the self-effacing wit and radiant interest in linguistics that distinguish his later work; Selected Poems confirms this continuity across his many shifts in style. four Roman horses, poised, in place. Yes, “fell out” can refer to the fall of man and to one man’s fall from the potent ability to “know” his wife; yes, “inspired” should be read with its breathy, etymological meaning. “Screw up” touches at least five senses: Adam’s heirs (1) “screw up” their resolve to (2) procreate (perhaps screwily, given the few examples they had), which (3) messes up the kids, which (4) bolsters the construction of a world, much as the (5) screwed-up grist of a windmill does. The jumble of such decoding, of seeing a phrase distinctly stick several landings at once, might please some readers, but I think the line’s primary effect is closer to that of a koan: once a phrase can be read five ways, it points toward infinity, inviting one to assume an “inclusive mind.” I start to wonder: is there a relevant etymological meaning of “sweaty” at play; did “hoe” have the echo, in 1968, that it carries from hip-hop, today? The question of whether all potential meanings are equally meaningful might dog one throughout Selected Poems. Often, the guidance Waldrop offers at once dons and shrugs off the possibilities of interpretation — “all connections (all) / connect,” he notes, “not always / as we could want them to” (41). The “we,” here, doesn’t refer to the author, whose intent might be clear or not, as much as to the reader who must accept that, tautologically, any connection that one can make is a connection, and yet its nature might exceed our wishes. This “we” presents the author as a fellow reader whose attention to the possibilities of interpretation troubles interpretation itself. It’s fitting that these preoccupations become clear in the poems selected from The Garden of Effort (1975), since their interest in enlivened ambivalence can seem both paradisal and laborious, though in Waldrop the arduous and ardent often twine. In these poems, it can feel as though Waldrop has compressed the final stanza of “Angel to Love” into nothing but phrases as brachiated as “screw up.” The pressure one could apply to such a phrase, to reveal its mass, emanates from the lines themselves. That is, they push back, through muddled or truncated propositional logic that shows the influence of French poets such as Claude Royet-Journoud, whom Waldrop has translated. These poems can support associative mulling — like the conclusion of “Angel to Love” does — that winds up and up but never winds up in a polished interpretation (“engineering mothers / to make of / being born,” says one poem  — am I wrong to hear the syntax of a newspaper headline, as in a phrase like “Congress to Propose Legislation?”). 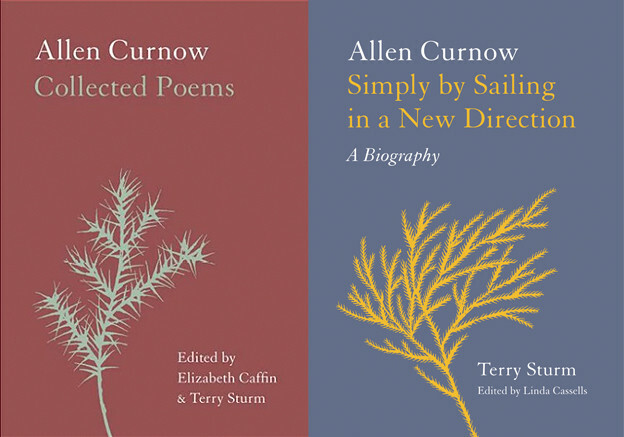 Or they can read like studies in the connective gestures by which poets like Stevens and Ashbery construct sensations of plausibility (“with exploit / in the full / sense will / but is / not quite” ). Often, they invite one to meditate on grammar (is “engineering” a verb? is “will” the subject of the phrase? ), much as they tickle perspective through overt staging (“A face at the / window and I forget / I’m indoors” ) and phrasal knots that arrive at straight strings, as though canceling themselves out (“Some things I’ve / seen through and / vice versa” ). 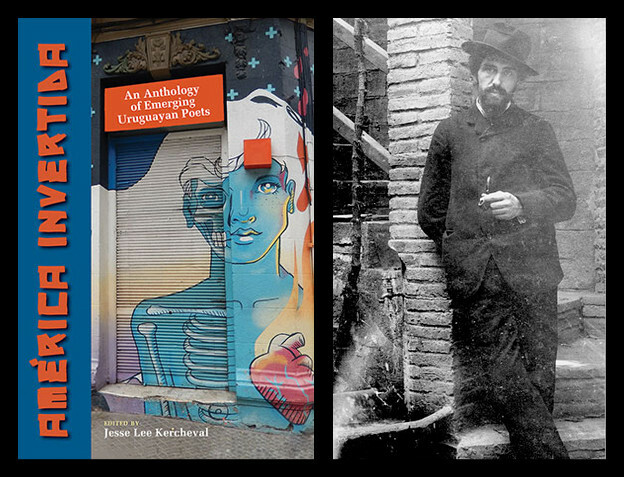 Other reviewers can explore how these poems reflect or advance particular critical traditions; but much as the end of “Angel to Love” could satisfy a New Critical reading while, more significantly, pointing beyond the text, conjuring a more mysterious orientation toward reading and world, ditto these poems and Deconstructionism. One can feel a similar spirit of translation — and a similar effect, of drawing a reader closer to the words themselves while also troubling a naïve regard for words’ meanings — in Waldrop’s frequent twisting of idioms, in his reorienting substitutions (“deified” for “defied” ), in his entertaining of alternates (“Monstrous colors on / certain things. // Monstrous things in / uncertain colors” ). A related method of alteration might have generated the title “Insisting Objects” from the poem’s musing on the parallel phrase “infinite creatures” (162); many other moments in Selected Poems might have resulted from similar processes (it doesn’t seem coincidental that the title of Waldrop’s first book contains the word “windmill” and the title of his second includes “windfall,” a kind of propulsive mishearing or permutation). This investment in the practices of translation also bridges the poles one can see in Waldrop’s more recent works, between observational prose, variously decorous and delectably anarchic, often linked to a personage, as in The Real Subject, and the kind of heightened, reflective lyricism one sees in Transcendental Studies. In The Real Subject, for example, Waldrop follows a whimsical conjecture (“Asked to explain why the hands come back to where they started, his mind wanders to the islands of an archipelago”) with a lyrical reverie that extends from the word “archipelago.” The poet, in effect, has translated himself, offering both verse and commentary. I love a woman with an empty face. She tries to think, and it flies loose again. At times my darling squeaks in pure Plato. That last line, perhaps, suggests that the common ancestor of both poets may, at times, be Wordsworth, though many longtime readers of Waldrop might object to subsuming his work into an Anglophone canon. Still, Waldrop’s question can be seen as a response to the query from early in Wordsworth’s The Prelude, “What dwelling shall receive me?” We should hope to achieve, Waldrop suggests, only a “sense of dwelling,” not through accumulating experiences that we can later recollect and report but through intimations that “cannot / be brought to mind,” though we know that they occurred, and mattered; the action of recollection remains, without object. Perhaps this type of objectless recollection lets one become more fully tuned to unknowing, or to knowing more closely the signs of life’s “long accumulation.” Connecting song’s functions to memory’s in another poem, Waldrop evokes going “down to the / water bringing / nothing back” (172). Selected Poems is important evidence of what a long life in poetry, in which “nothing could / possibly be out of the question” (18) because the key questions concern the nature of nothingness itself, can actively bring us back from the waters where nothingness lives, thus bringing that nothingness to life. 1. Keith Waldrop, Selected Poems (Richmond, CA: Omnidawn, 2016), 43. 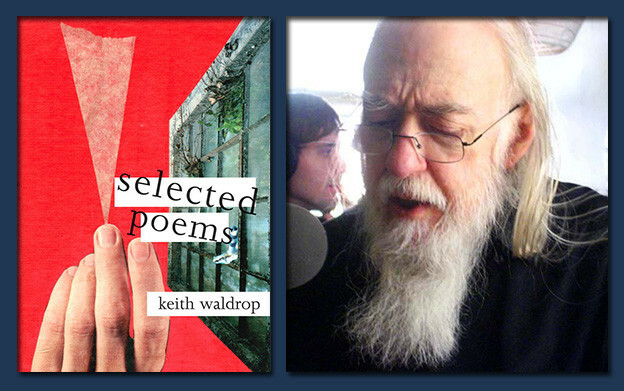 Mentions of Waldrop’s earlier texts throughout refer to the poems anthologized in Selected Poems. 2. Theodore Roethke, The Collected Poems of Theodore Roethke (Garden City, New York: Doubleday, 1966; London: Faber & Faber, 1968), 128. 3. Roethke, Collected Poems, 199.